Superiore Livello Napoli 12 Bottle Rack will add an element of style to any room. Made using premium quality metal, its sturdy construction ensures years of efficiency. Varnished with a lustrous black finish, the wine rack will add a traditional touch to the room. 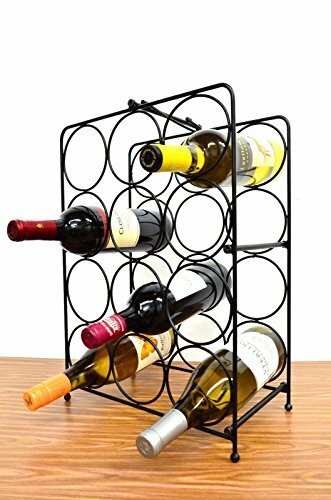 Crafted with an intricate curved scroll pattern, the wine rack offers ample storage space for 12 bottles of wine. Its commercial grade welding ensures industrial strength and durability. It is tarnish resistant, which helps maintain its rich finish.